If Toronto and Canada really want to compete in the new global economy we need to innovate; sticking our head in the sand or relying on outdated statutes doesn't cut it. If there are legitimate concerns about specific facets of these new business models, then legislators need to meet with the firms and address them. It's time to get on with it. It's been an interesting year so far in the centre of the Canadian universe. Back in January the Economist named Toronto the "best place to live in the world." The one fly in the ointment? Transportation and gridlock. In February, newly elected Mayor John Tory headed to Parliament Hill to pitch his election-winning SmartTrack plan to federal leaders. All mayoral candidates -- and all political parties -- agree that transportation and gridlock is the number one issue in the city today. Taxpayer-funded megaprojects like SmartTrack are definitely a big part of the solution, but given fiscal constraints, why isn't technology-enabled innovation on the table as well? This brings us to the questionable March decision made by Toronto police (urged on by legacy Taxi interests) to charge Uberx drivers with operating a taxi service without a license. Consumers love Uber. Economists do too. Loblaws is partnering with them. John Tory thinks they're here to stay. 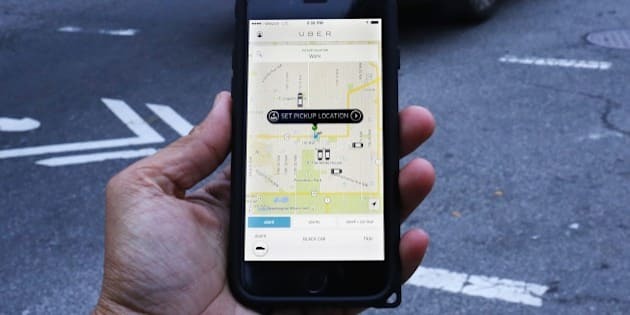 Even former Tory cabinet minister John Baird admits that the time has come for the kind of innovation Uber brings. So why is the city waging a campaign against Uber? To be fair, there are laws on the books that can be interpreted to define the Uber business model as illegal, and police do need to enforce existing laws. In this case however, the existing legislation is woefully out of date and needs to be modernized to address the realities of the current market and rapidly evolving technological capabilities. Just how out of date are our laws? To get an idea, consider Uber's sharing economy peer Airbnb. It enables citizens with spare apartments or rooms to rent them out and garner extra income. It also provides a great way for consumers around the world to find a more cost effective and convenient place to stay. This service is growing rapidly and is on track to surpass the largest hotel companies in rooms rented. However in Canada (and elsewhere), several municipalities have sued to crack down on the service based on current legislation. What's the situation in Ontario? The applicable legislation would be the 'innkeepers act', which still has a law on the books stating that if you don't pay your bill the innkeeper can put a lien on your horse and carriage and subsequently sell them at auction. Clearly, it's time for a legislative update. How are other governments responding to the sharing economy? For the 2014 FIFA World Cup in Brazil, the government was content for Airbnb to step in and provide accommodation to soccer fans that couldn't afford sky-high hotel rates. The company also used it as a learning experience for hosts. Fast forward to today: Brazilian authorities have recently signed an "alternative accommodations" sponsorship deal with Airbnb to provide 20,000 rooms for the 2016 Rio Olympic summer games. Meanwhile back in Toronto, the biggest event of the year is the upcoming 2015 Pan Am games. It will be a world class event and something Torontonians can be proud of! Unfortunately we're going to have some of the same accommodation issues that Brazil faced, and gridlock is likely to be the order of the day. Airbnb would be a great accommodation partner for the event. Uber has recently launched an innovative new ride sharing service called Uberpool, which would be a terrific fit for the Pan Am games. But instead of partnering with innovators like Uber and Airbnb, we're ignoring them -- or taking them to court. Let's face it... the only people happy with the current system are taxi license investors.